Every year, Tulsi pooja comes on Kartik shuddha Dwadashi. We decorate Tulsi vrindavan with mantapam and sugarcanes all around it. The mantapam and all the decorations are taken off after three days. After the pooja, sugarcane pieces were distributed along with puffed rice to all the people who came home to attend the pooja. Previous years, many farmers from nearby places used to supply sugarcanes for Tulsi Pooja. However this season, sugarcanes were not fully grown and hence they were not sweet enough to eat. So we send them to the market to make juice. 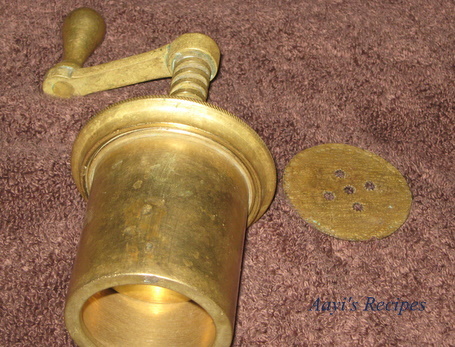 I used to prepare many dishes out of it, like the sugarcane juice – chaklis, appes and alayle peeta rotti/kabbarosa bhakri etc. Among all these, sugarcane chaklis were favorites at the house. So since then, whenever we got sugarcane juice, these chaklis became a staple at home. Chaklis become slightly harder when you use sugarcane juice. So I make them thinner. 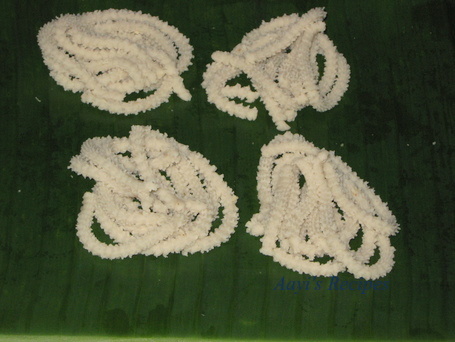 These thinner variety of chaklis are called “Tengurlas” in konkani. Melt the butter. 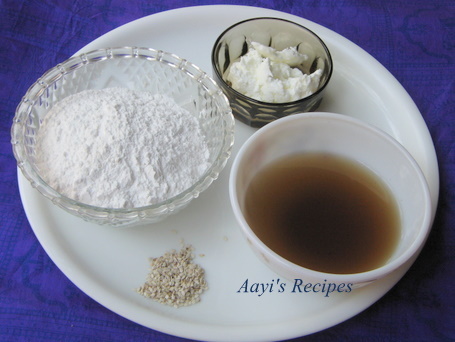 Mix butter, sesame seeds and salt with the rice flour and add sugarcane juice to it slowly to have a smooth dough removing all the lumps in it. Kneed it properly on a flat surface. 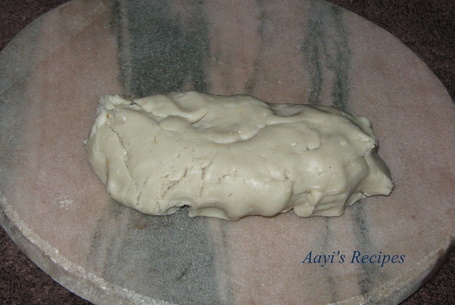 Fill the dough in the chakli press and make the chaklis on a paper or a plastic sheet. Heat oil and deep fry chaklis. Remove them when they turn slightly brown. Store them in airtight container when they cool. They last for many days. This one looks fantastic…I love chaklis a lot… never heard of sugarcane juice chaklis… great, will try out soon..
Sugarcane juice muruku is new to me,but looks quite delicious..
Love the Chakli, but did not know they can me made with sugarcane juice. Learning something new from you every day! Here is a link to a video of making sugarcane juice at a stall in Mumbai. And more reason to visit you soon. Never had heard of sugarcane juice chaklis. They look wonderful. Wow really innovative and must be tasting yummy!!! I never knew sugarcane juice is used in cooking. My doubts are; can we use the juice crushed fresh by any sugarcane juicevendor. Why is ur juice brown in color? Yes, fresh juice is used for this. this is a fantastic receip as we have plenty of this crop in mauritius i will certainly try tjis receip. this one very nice recipe .in uk sugarcane juice not available .so is their any alternative.plz reply .i want to try this simple but delicious recipe……. Chaklis with Sugar cane juice is quite interesting, looks tasty as well! I wonder how chaklis tastes. But I love sugar cane coz it brings back so many fun childhood memories to me. We had a sugar cane plant in our garden and we would cut down one stalk and cut it among us. It was real sweet and juicy.. 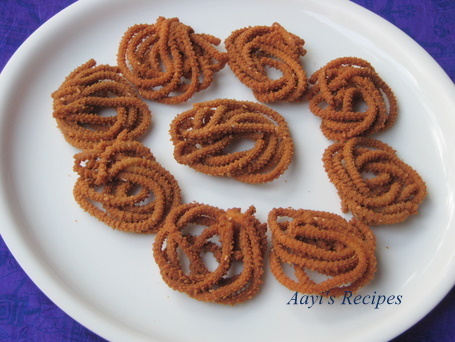 I missed those times..
Never heard of sugarcane chakli but after making that fabulous date cake of yours (first time making a cake) a few days ago, I am willing to bet that it tastes good. Where did you get sugarcane juice in the US? I miss it here. Thanks in advance! Having Kabbarosa Chakli brought tears to my eyes, it is the first time I cried since landing in Japan 15 years ago to escape the constant harassment of Konkani food. Now after eating tasteless Japanese food devoid of inspiration and nutrition, I have decided to return to India to my native Hindu faith. I have been working as an environmentalist in Guvamusa( Japan) as an environmentalist for the past 2 decades and my research seems to indicate that Sugarcane is one of the most endangered plant specie in the biosphere. We humans have more or less sounded the death knell for it in Japan and the rest of Asia is following suit. I would simply submit that you must exercise restraint while using sugar-cane for your daily randap.